Have you ever been shaken to the core as a result of a life-changing experience? We all face personal struggles, and it’s great when we can get some help in working through them and understanding them. 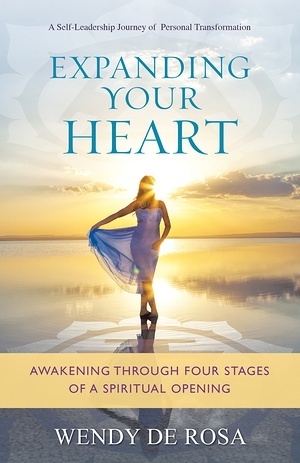 Expanding Your Heart: Four Stages of a Spiritual Opening offers such help by providing a spiritual and inspiring perspective on personal struggle. It is a tool for healing, and an explanation on how and why your deepest struggles may be a doorway to your greatest freedom. This book explains the Four Stages of a Spiritual Opening and how you may have experienced one, two, or all of these stages without even realizing it. If you have hit the wall, had the rug pulled out from under you, or are feeling stuck, lost, anxious, or depressed, you may be on the brink of an incredible awakening. You just may not know it yet. What may be perceived as a challenging, difficult, or traumatic situation may actually be the start to the expansion of your spiritual heart. We can learn how to love and how to feel for the world, but a deeper love is born when the spiritual heart awakens. Join Wendy on this journey to living your fullest, truest self.